Facebook has been in the news for privacy-related issues over the years. Usually, it only hits the headlines because something bad has come to light. In the case of the Cambridge Analytica scandal, for instance, data was mined from the social network for political purposes. We’d never claim that the actual invasions of privacy are positive. However, if we approach this in a glass-half-full way, maybe it’s a good thing this scandal got blown open to worldwide attention. In 2013, Dr. Aleksandr Kogan created a personality quiz for Facebook, called “thisisyourdigitallife”. 300,000 people reportedly downloaded it, but its impact was far greater than even that. Kogan granted permission for Cambridge Analytica, a political consulting company, to use the app. The firm subsequently asked users to complete a survey apparently for academic use only. 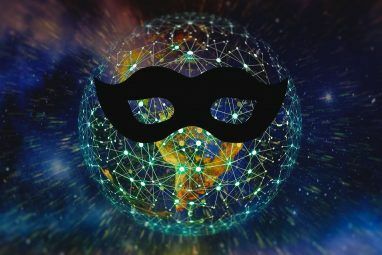 However, it mined the Personally Identifiable Information (PII) Here's How Much Your Identity Could Be Worth on the Dark Web Here's How Much Your Identity Could Be Worth on the Dark Web It's uncomfortable to think of yourself as a commodity, but all of your personal details, from name and address to bank account details, are worth something to online criminals. How much are you worth? Read More of its users—plus the private data of all their Facebook friends. An estimated 87 million people, probably more, have been victims of this! It’s then alleged that this data mining was used to swing votes How Your Data on Facebook Is Collected and Used to Win Elections How Your Data on Facebook Is Collected and Used to Win Elections What do you do when your Facebook data is harvested and manipulated to influence the course of international politics? Read More in the 2015-16 US presidential elections and the 2016 Brexit vote in the UK. Cambridge Analytica denies these allegations. It all sounds bad, right? Fortunately, we can salvage some important things from this wreckage. The most notable thing here is that Facebook actually made headlines. We’re not sure Mark Zuckerberg will appreciate that adage, “all publicity is good publicity” because this certainly isn’t good for Facebook. No, it’s good for consumers because people might finally be waking up to the fact we’re putting too much private information online Facebook Privacy: 25 Things The Social Network Knows About You Facebook Privacy: 25 Things The Social Network Knows About You Facebook knows a surprising amount about us – information we willingly volunteer. From that information you can be slotted into a demographic, your "likes" recorded and relationships monitored. 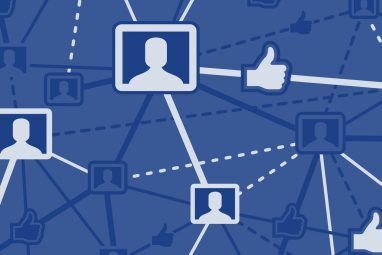 Here are 25 things Facebook knows about... Read More . 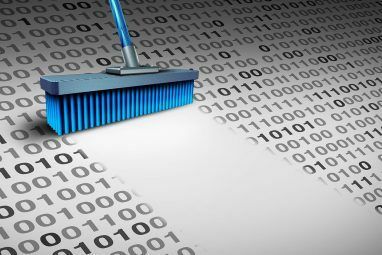 Social media vacuums up data. The details many of us willingly submit to Facebook is astonishing—doubly so considering that algorithms can mine this info and predict a lot about you Digital Shadow Exposes What Facebook Really Knows About You Digital Shadow Exposes What Facebook Really Knows About You While it began as a mere marketing stunt, Ubisoft's Digital Shadow remains a very useful (and potentially scary) application that shows you how much people can find out about you from Facebook. Read More . Including your passwords! If the scandal is making folk check out their privacy settings, that’s surely something positive coming out of this mess. Indeed, Facebook is actively encouraging people to reassess who has permission to personal information. The internet as a whole is feeling its effects too. Websites are updating their Privacy Policies, and some blogging software systems (like WordPress) are prompting blog owners to review the rights of their readers. This controversy has made many sit up and take note. People are questioning what info they make publicly available, and which apps need sensitive details. This applies to everything: Twitter, Instagram, Google, emails, Apple, Netflix—even the smart devices in your home How Much of Your Personal Data Could Smart Devices Track? How Much of Your Personal Data Could Smart Devices Track? Smart home privacy and security concerns are still as real as ever. And even though we love the idea of smart technology, this is just one of many things to be aware of before diving... Read More ! Furthermore, some now realize the extent that such data can be used, including for influencing voters. It’s nothing new, of course. This is just the latest example of it apparently happening. What’s Facebook Doing About It Now? Actually, it looks like Facebook put in the appropriate procedures a few years ago. This merely highlights that it’s not being completely policed. Or at least that some apps are being somewhat loose with the truth. In 2014, Facebook changed things so that apps couldn’t get data from friends of users. They were instead confined only to those who actively engage. The following year, it became clear that some apps weren’t abiding by Facebook policy forbidding the sharing of data without users’ consent. Zuckerberg alleges that “Kogan had shared data from his app with Cambridge Analytica”, and thisisyourdigitallife was banned from Facebook. All acquired data had to be destroyed with certifications that this has happened. Despite them doing this, it appears Cambridge Analytica may not have deleted all information. The scandal likely means Facebook is taking stock and putting its house in order. Basically, the company is doing things it should’ve done a long time ago. These measures include auditing all suspicious apps; removing apps’ access to information if the respective app has not been used in 3 months; and making it easier for users to revoke permissions. 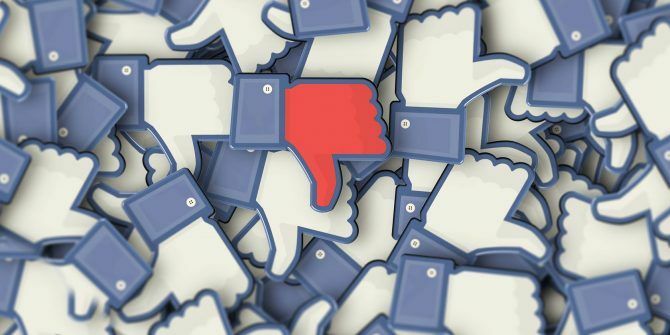 If Facebook is becoming a more secure environment, maybe it’s not time to #DeleteFacebook 7 Reasons Not to Delete Facebook #DeleteFacebook 7 Reasons Not to Delete Facebook #DeleteFacebook A growing number of people are calling on us all to #DeleteFacebook. However, while it's not perfect, we believe there are multiple reasons not to delete Facebook. Read More after all. Let’s not downplay the negatives. None of this will come as much consolation for the 87 million people affected. Similarly, those users probably won’t care much about the other major victims in this. Those parties are: Facebook, Dr. Aleksandr Kogan, and Cambridge Analytica. In the former’s case, its reputation has taken a considerable hit. Many are asking if they should get rid of their accounts Why You Should Stop Using Facebook in 2018 Why You Should Stop Using Facebook in 2018 Times have changed, and it might be time for us to stop using Facebook. Here are five reasons why. Read More . Zuckerberg had to provide a testimony to Congress and faced some tough questions (as well as a grilling on social media). His apology naturally didn’t stop Facebook stock dropping, although it’s since recovered. Cambridge Analytica, its name soured, filed for insolvency on May 1, 2018. You might feel sorry for the staff members who have lost their jobs. Except, in August 2017, the chairman of Cambridge Analytica’s parent company, SCL Group, set up Emerdata Limited. Its London HQ is the same as Cambridge Analytica’s was. Perhaps the company’s downfall isn’t as permanent as it initially appeared. For his part, Dr Kogan claimed he didn’t know the app would be used for political gains. As such, he further says that he’s being made a scapegoat by Facebook and Cambridge Analytica. If you haven’t already, your first point of order should be to check whether you’re directly affected by the controversy. Sadly, even if you are, there’s not much you can do about it—except to be more wary of what you accept online. Next, check out your privacy settings. Make sure you’re not giving any apps unnecessary access to your private information. This isn’t something you should forgive and forget. Let’s hope that it’s not just Facebook that learns something from the controversy. Until the next scandal, you should definitely take time out to learn more about boosting your Facebook account’s privacy The Complete Facebook Privacy Guide The Complete Facebook Privacy Guide Privacy on Facebook is a complex beast. Many important settings are hidden out of sight. Here's a complete look at every Facebook privacy setting you need to know about. Read More . Explore more about: Cambridge Analytica, Facebook, Online Privacy, Security Breach. The way to fix this is don't use facebook. I never have. It's a good thing we don't have to worry about google and the like, right? The last comment is spot on too. "It’s then alleged that this data mining was used to swing votes in the 2015-16 US presidential elections and the 2016 Brexit vote in the UK. " These so called "allegations" are nothing but sour grapes whining by the losers. The losers do not want to admit to the world or to themselves that their message just wasn't convincing enough. Had Brexit been averted and Hillary elected, there would be no mention of "Cambridge Analytica scandal" or vote(r) influencing because the voters would have voted "correctly". I realize that any data breach or share of personal information is a bad thing. One must also realize that this is the internet, what you put out there is OUT THERE. Use some common sense. But here is my complaint, why are the banks, businesses and credit unions that have been breached not being called on the carpet and penalized? That's our even more personal data than on Facebook. That should outrage us even more. As far as I know, Equifax did not even get its hand slapped. It's been business as usual as if nothing has happened. Seems a double standard, huh? Our "privacy " is only important if it involves social media.